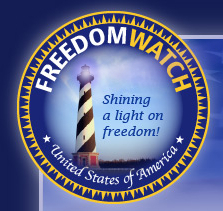 Not to be confused with the similarly named Freedom’s Watch, Freedom Watch is an organization led by right-wing activist Larry Klayman, who also founded Judicial Watch, the organization notorious for the many lawsuits it tried to bring against the Bill Clinton administration. Freedom Watch largely serves as a platform for Klayman and his various agendas. He pursues these agendas by holding press conferences, publishing reports on the Freedom Watch website, and filing lawsuits. In November 2010, Freedom Watch held a joint press “symposium” with the hawkish Foundation for Democracy in Iran at the National Press Club in Washington, D.C. entitled “National Security, Freedom, and Iran—Is It Time for U.S. and Western Intervention?” A Freedom Watch press release claimed, “No other foreign policy forum has been bold enough to speak the truth; the Islamic regime of fraudulently-elected President Ahmadinejad must be removed now, before it is too late. Our conference will explain rationally to the world why and how this can be done.” Speakers at the symposium included former CIA director and prominent neoconservative pundit James Woolsey, former Republican presidential candidate Alan Keyes, Kenneth Timmerman of the Foundation for Democracy in Iran, and Rep. Michele Bachmann (R-MN). Freedom Watch, National Security, Freedom, and Iran—Is It Time for U.S. and Western Intervention?” November 17, 2010, http://freedomwatchusa.org/national-press-club-symposium. Ryan Reilly, “Judicial Watch Founder: Obama On ‘Political Jihad Promoting Islam.’” Talking Points Memo, November 17, 2010, http://tpmmuckraker.talkingpointsmemo.com/2010/11/judicial_watch_founder_obama_on_political_jihad_promoting_islam.php#more. Freedom Watch, “About Larry Klaymna,” http://freedomwatchusa.org/klayman. 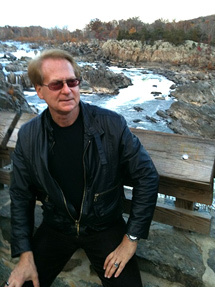 Freedom Watch, “Larry Klayman aka Harry Klaypool,” http://freedomwatchusa.org/harry-klaypool-of-freedom-watch. Paul Lewis, “Legal Battle Brewing over Group’s Name,” Washington Post, September 18, 2007, http://www.washingtonpost.com/wp-dyn/content/article/2007/09/17/AR2007091701575.html.